Buying blinds and shades can be a confusing process for many homeowners—especially if they’ve never done it in the past. 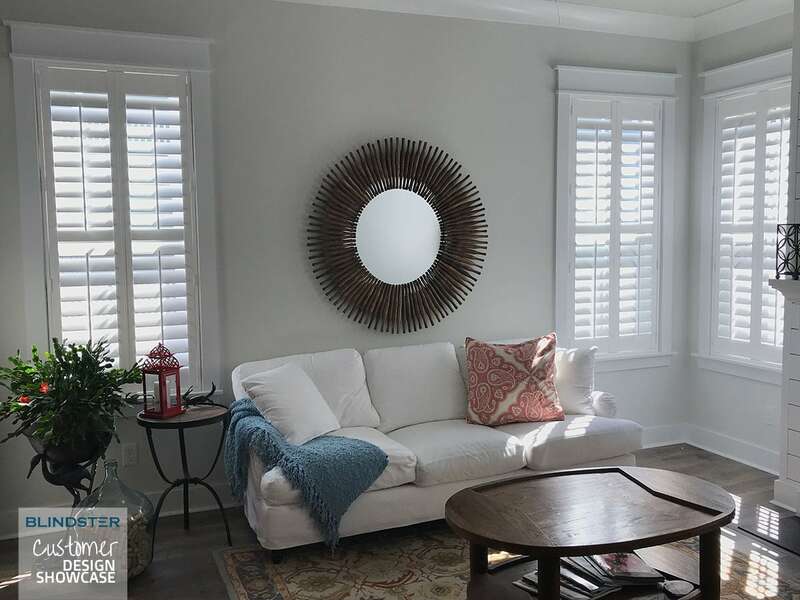 Unfortunately, there are a handful of myths about window treatments that can needlessly complicate the process and make it even more difficult for homeowners to get the function and look that they want when they’re searching for the perfect blinds and shades. At Blindster, we know that many of our customers have questions about blinds and shades, and we also know that there are many inaccurate myths that can make any buyer hesitant to make a purchase. 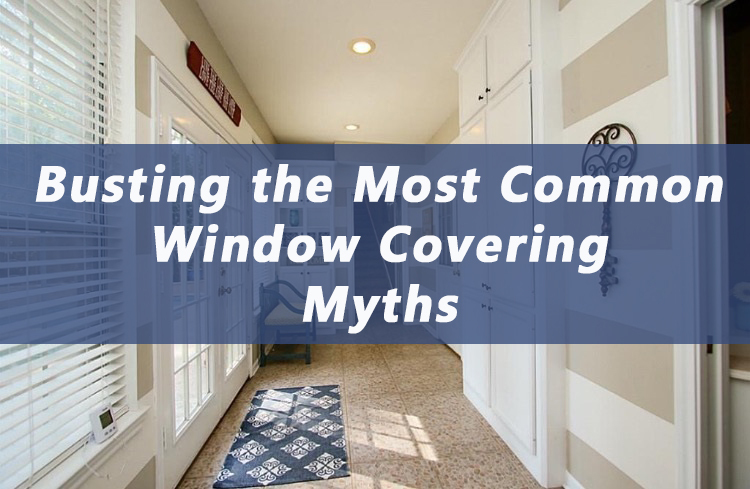 If you’re almost ready to buy the perfect window coverings for your home, but there are a few concerns holding you back, check out the facts behind some of the most common myths about blinds and shades in the section below, and if you still have questions, don’t hesitate to contact our customer service representatives. It’s too difficult to measure, order, and install blinds or shades by myself. Anyone with a measuring tape and a few basic tools can order and install blinds or shades that will fit their windows perfectly. While the measuring process does require measurements that are as exact as possible to ensure the right fit, we provide measuring instructions for every window covering we offer that will help make sure you send us the right dimensions when you place your order. We also offer instructions for installing blinds and shades both inside and outside of windows, depending on your personal preference or the size of your window frames. I won’t be able to find window treatments that match my home’s décor. Window treatments go far beyond the standard aluminum blinds that many people are used to seeing in apartments, offices, and homes. At Blindster, we offer several types of blinds and a huge variety of shades that are designed to match almost any home’s color scheme and style. For example, our Premium Roman Shades Group A are available in 47 different colors, while our Premium Roman Shades Group B are available in 60 different colors. We also offer shades in unique and eye-catching patterns that are designed to complement both your sense of style and your home’s overall beauty and elegance. My windows aren’t standard size and window coverings won’t fit. Our window coverings can be custom made to fit almost any window size. Many of our blinds and shades can fit windows up to 120” wide and 120” tall—with some models available in even larger sizes. If your windows are wider than our offered sizes, you can order multiple blinds or shades and connect them for a single uniform appearance across your room. Window coverings block out too much light and make rooms too dark. While it’s true that many window coverings—particularly blackout shades—are designed to eliminate as much outside light from entering homes as possible, there are several types of shades that are designed to maintain natural light while cutting down on glare and other harsh elements of sunlight. For example, our 3” Premium Light Filtering Sheer Shades allow a soft and diffused natural light to brighten up your home while also protecting you and your furniture from 99 percent of the sun’s UV rays. Window coverings aren’t effective at making a room completely dark. At Blindster, we’ve received many questions from homeowners on the opposite end of the spectrum who are concerned that shades won’t be effective at blocking out light in their game rooms, home theaters, nurseries, or other rooms that require complete light control. Our Deluxe Solar Shades Blackout delivers 100% light blockage, meaning you can eliminate all outside light from entering your home. We also offer a wide variety of traditional blackout shades in different colors and materials that block out 99 percent to 99.9 percent of sunlight and UV rays. Window treatments are too expensive to install throughout my home. The cost of window treatments can vary significantly depending on the type of blinds or shades you purchase. If you’re looking to outfit your home with window treatments for the lowest possible price, we have great options that can fit your budget, such as our 1” Aluminum Blinds, our 2” Super Value Faux Wood Blinds, and our Deluxe Vinyl Roller Shades. Our wide range of window treatments at a wide range of prices means that homeowners can install window coverings in every room without breaking the bank. Window covering cords are dangerous and unsightly. Certain types of cords used to operate blinds and shades can pose risks to small children and pets. However, all window treatment orders purchased from Blindster come with free cord cleats that you can use to wrap up excess lengths of cord to reduce the risk of accidents and injuries. And if you prefer to not see or use a cord when operating your blinds or shades, we offer a huge variety of cordless options, including our Premium Roman Shades, our Deluxe Cordless Top Down/Bottom Up Blackout Cellular Shades, and our Premium Fabric Roller Shades – Woven Wood. Window coverings are difficult to clean and maintain. Depending on where you live and the environment your window coverings are exposed to, you may need to clean your blinds and shades on a semi-regular basis. However, thoroughly cleaning your shades doesn’t take more than a few minutes per week to complete. Just use a duster to remove built-up dust, pet hair, and other debris from the entire surface of the blinds or shades. If your blinds or shades become stained, lightly scrubbing them with a cloth soaked in a mixture of water and mild detergent is sufficient to remove all but the darkest and most deep-set stains. Maintaining blinds and shades is easy with proper operation, and most problems can be fixed simply by resetting their lift mechanisms by following step-by-step instructions on our website or that are included with your order. Window coverings will ruin my view. If you own a home with a beautiful cityscape or landscape view, you may be hesitant to cover it up with blinds or shades because of the potential that they will spoil your view. However, in many cases, window coverings can actually enhance your view by properly framing it and diffusing the light. Top down/bottom up shades are perfect for homes with spectacular views, as they can be adjusted from the top and bottom for the ultimate in light and privacy control during the day and night. Sheer shades are another great option to preserve your view at all hours of the day while reducing the amount of harsh sunlight that enters your home.